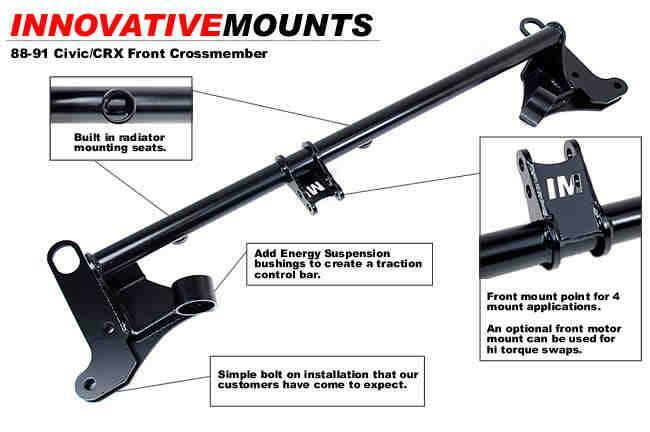 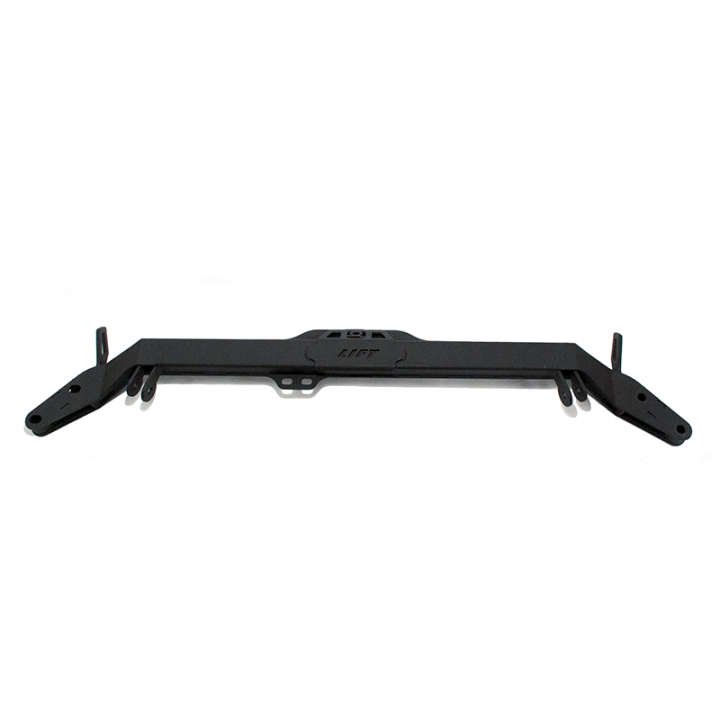 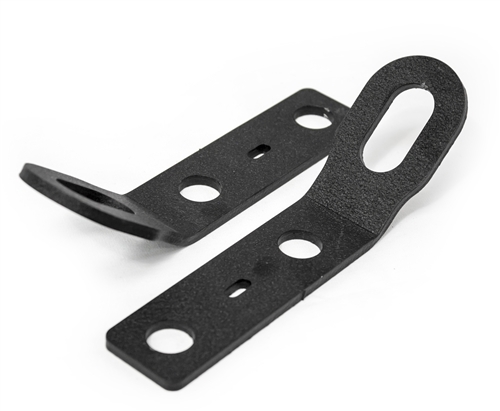 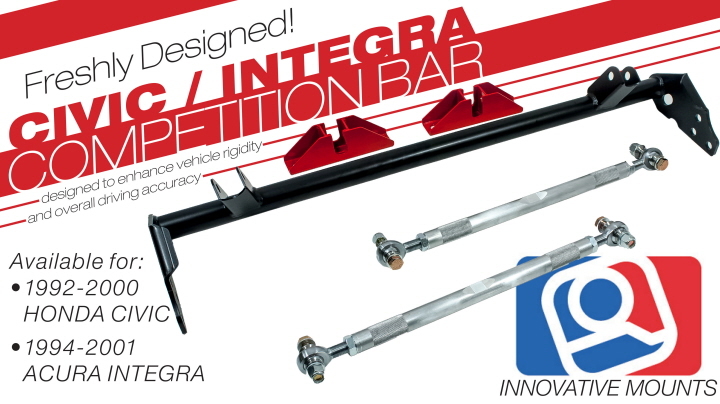 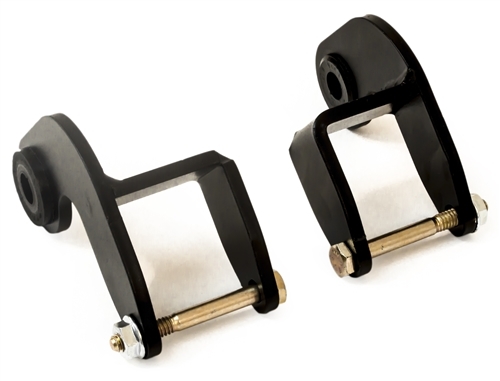 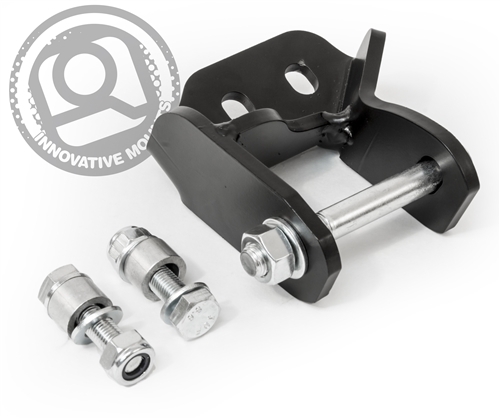 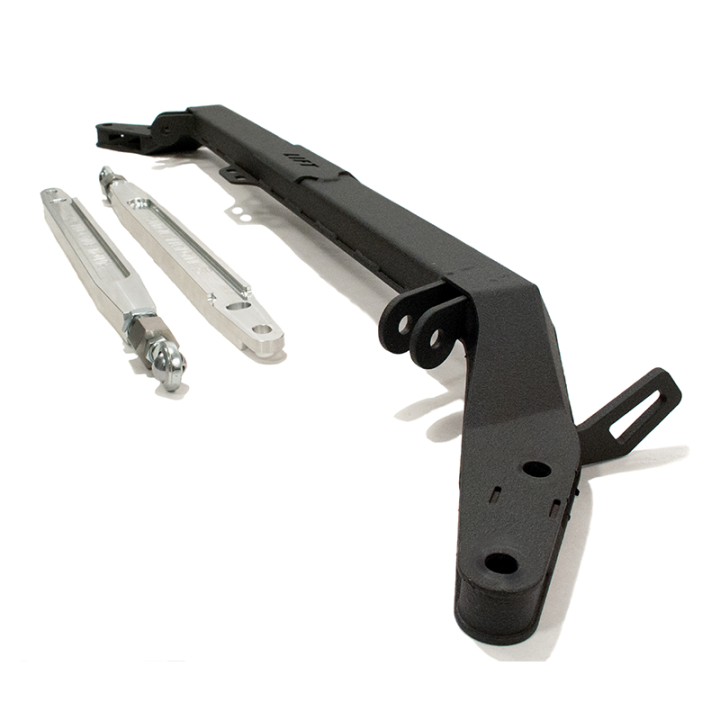 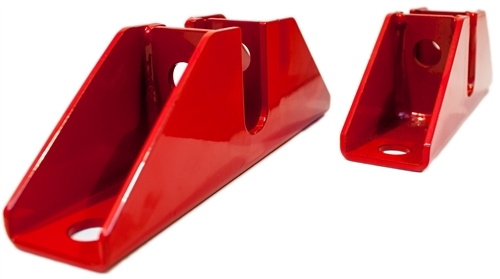 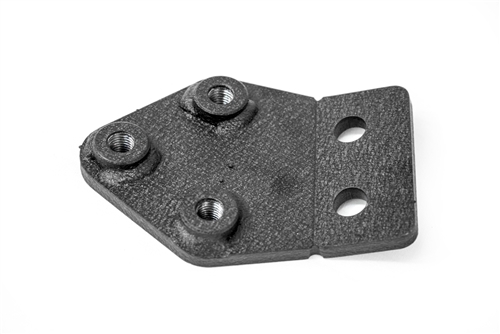 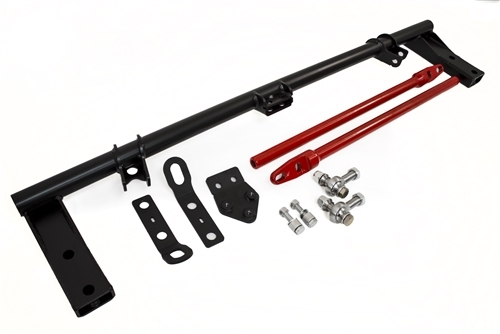 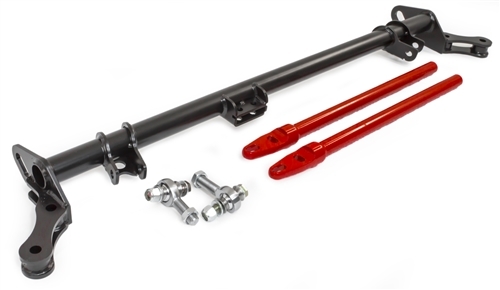 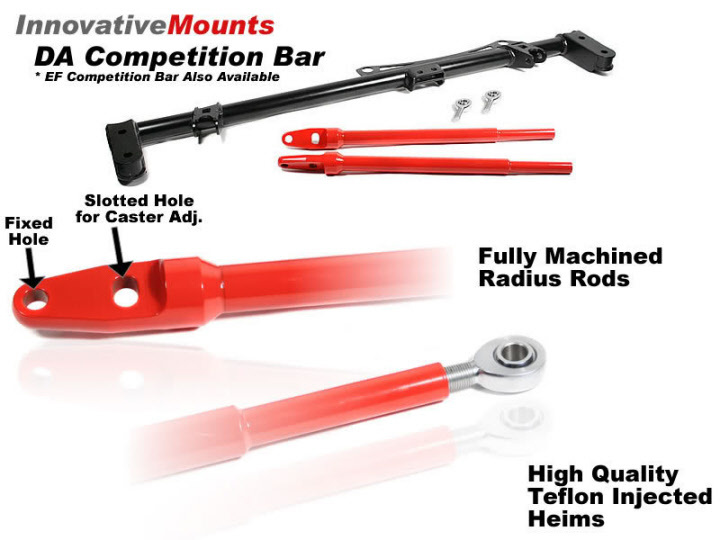 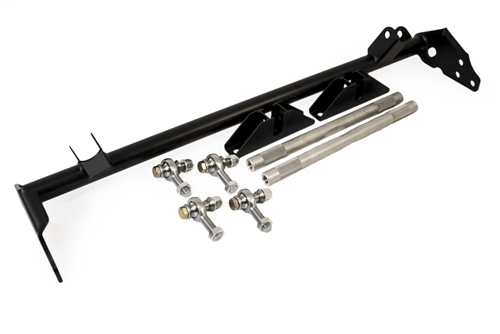 The Innovative Mounts Competition/Traction Bar Kit is designed to increase the rigidity and stability of the vehicle's front suspension. 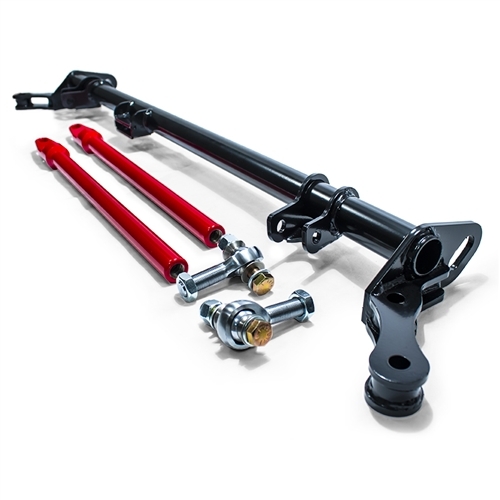 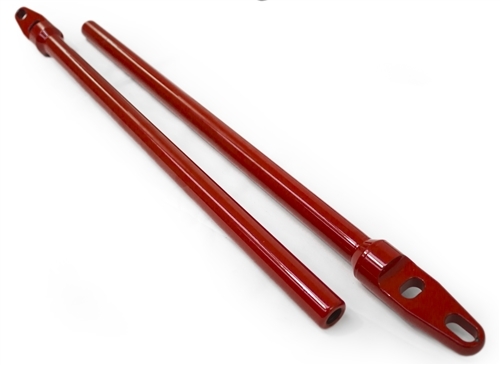 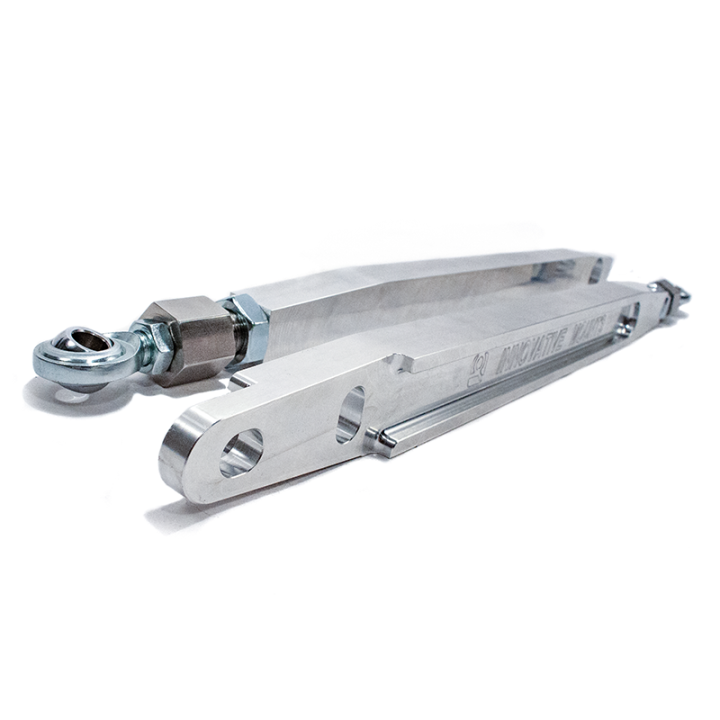 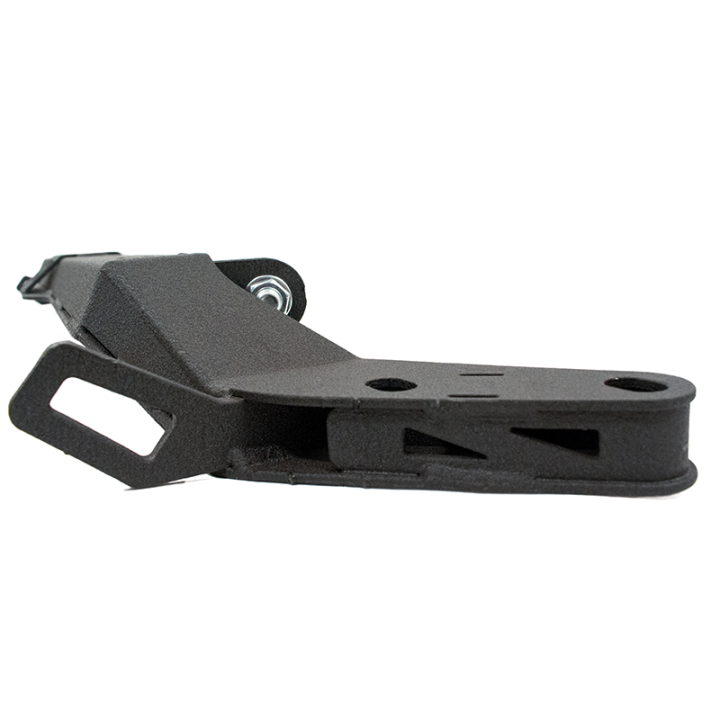 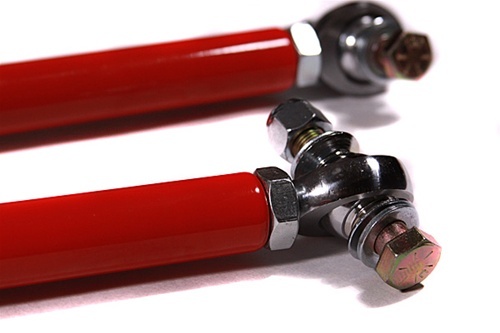 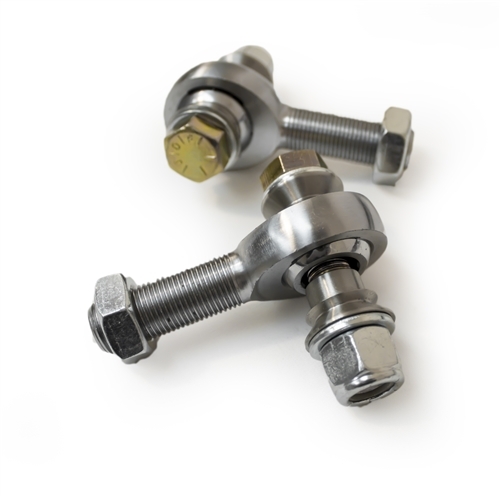 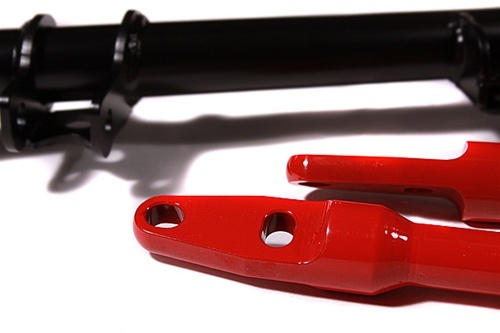 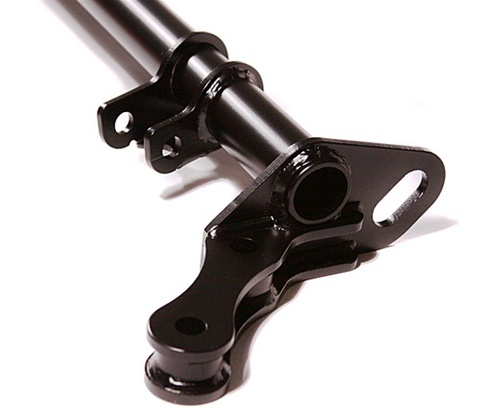 By tying-in the front lower control arms to the frame, the front suspension becomes more solid, thus increasing traction and eliminating wheel-hop. 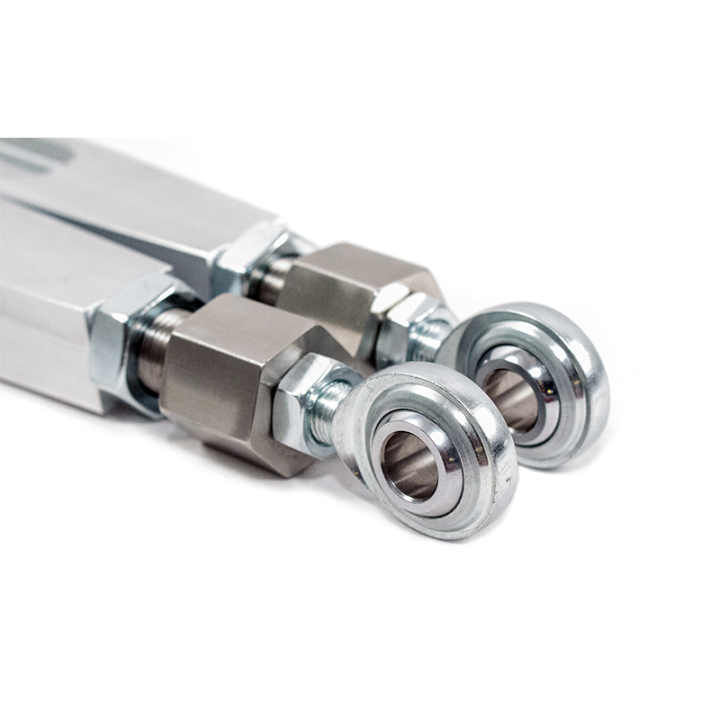 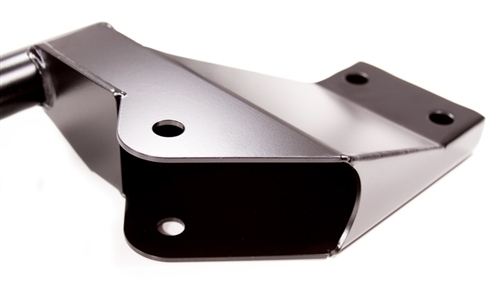 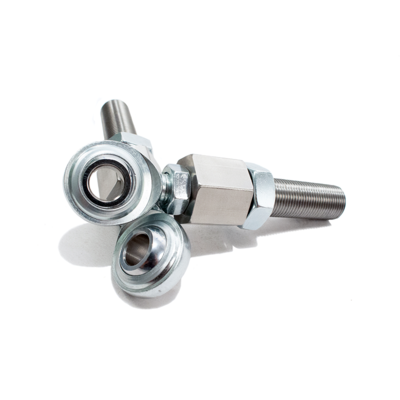 For front wheel drive drag racers and road racers, this directly results in reduced 60-ft times and cornering speeds. 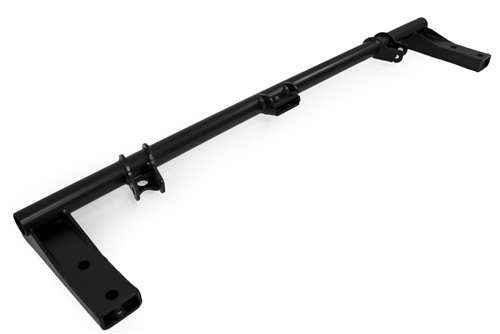 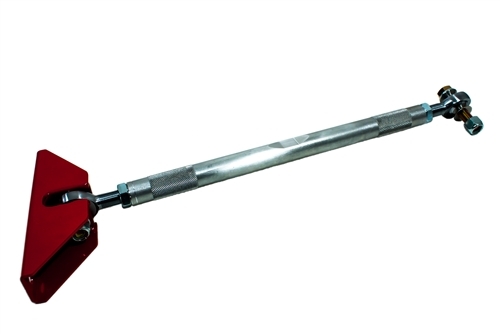 The design of the bar not only reduces unwanted lateral lower arm movement, but also ties the lower chassis legs together providing a much more rigid and stronger setup.